Andrew W.K. records Gundam 30th Anniversary album. Click the image to be taken to the page where you can preview the album. After the success of Andrew's 2008 release of Japanese pop rock covers, Andrew W.K. was approached by Sunrise Inc., the owners of the Gundam franchise, to record an album of classic Gundam music, to celebrate Gundam's 30th anniversary. The album of English-language rock covers will be released on September 9th, in Japan, by Andrew's longtime label, Universal Music Japan. The release will feature the music from the first "Mobile Suit Gundam" television series and movie trilogy, as well as Andrew's versions of the Gundam score and background music. Plus, Andrew will reenact Gundam's opening narration and the famous memorial speech that the Gihren Zabi character gives for his fallen brother. The album's front cover artwork features an original illustration by respected Gundam artist, Akira Yasuda. The image depicts Andrew flying through space next to the Mobile Suit Gundam. The album's design also features special photographs by Andrew Strasser. This is Andrew W.K., so that should tell you something right there. 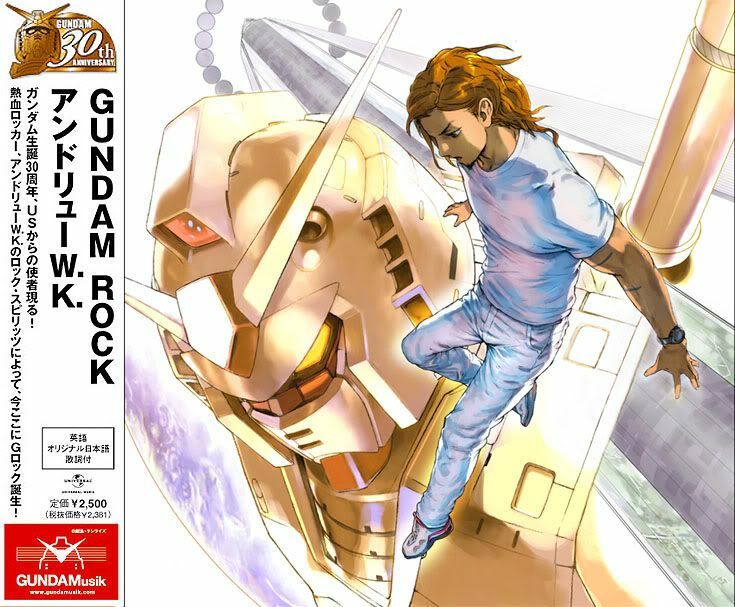 I much prefer the gundam rock covers by Richie Kotzen [a few posts below this one!] but I just found this to be quite a random piece of news. Some of the music on the album isn't so bad either, but I much prefer the original music, as it was a lot more.... funky. Also: Happy Thanksgiving, all you kawaii gaijins out there, uguu.